This is my family – my wife, three grown children, spouses and 6 grandchildren. 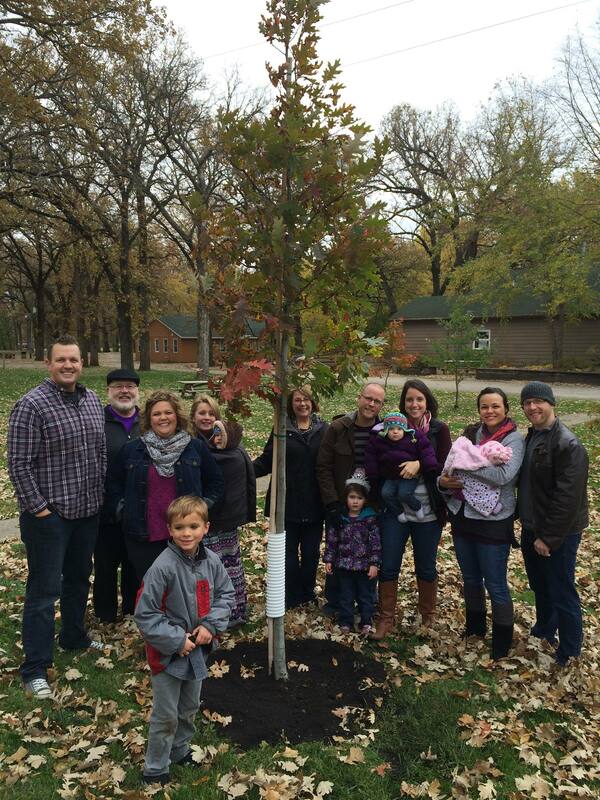 This is a tree we planted as a family at our “holy place” called Riverside Lutheran Bible Camp in Story City Iowa. We call it our Family Legacy Tree. We have deep family roots at this camp and wanted to contribute in a meaningful way and create a memory and a teachable moment for everyone.